Frequent deep cleaning of your upholstery will ensure the longevity of your favourite pieces of furniture. Upholstery consists of many fabric types. Our experienced technicians will be happy to give you an immediate estimate. A bespoke and tailored cleaning service can be provided by our professional technicians for even the most delicate of fabrics. Before we start to clean we check for various things that will influence how we approach the cleaning of your upholstery. Before we start to clean, we check for colourfastness, fabric stability and age to decide on the best method to use. We only use the most powerful and effective upholstery cleaning equipment in London that is manufactured by Ashby’s, one of the leaders in the UK market. All our upholstery-cleaning products are environmentally friendly, 100% biodegradable and completely safe to be used in any home. There are all manner of upholstered items all around us every day. We have old upholstered antique fabrics and the most modern coverings that have been invented from materials used in the space programme. But whatever the material upholstery there is always something that every fabric or covering has in common and that is the damage that it gets from our every day living. Pets and children and those late night parties, all take their toll. There are as many different techniques that need to be applied to different fabrics and coverings as there are specialist-cleaning materials to clean them. If you are looking for professional upholstery cleaning in London then you will appreciate the expertise and the experience that Best Cleaning London Ltd. has to offer. inappropriately. For that reason, whenever you are looking for upholstery cleaning it is essential that the person you choose to do it is expert. 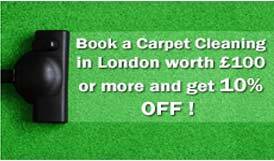 Best Cleaning London Ltd. has an excellent track record with upholstery cleaning and are waiting to take your call. Scheduling regular cleaning of your upholstery will pay dividends in the long run as your furniture coverings are kept in optimum condition. However big or small your upholstery cleaning needs their continued care is assured with Best Cleaning London. Chamois leather will stay soft if you use lukewarm saltwater to clean it. Mould-affected areas on leather and other materials should not be rubbed because the mould spores will spread. Be careful with baby wipes around leather, the alcohol content in them even in small quantities, might damage leather pieces of furniture.